Looking for a simple snack? 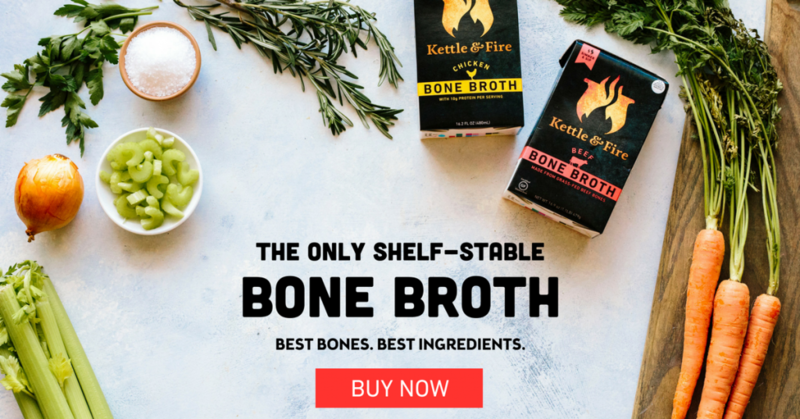 Perhaps a new low-carb quick and easy recipe? You have found it! Oh a whim, I made these muffins up. They happened to be eaten on a day Tristan made a “Day of Eating” video and posted it up on youtube and facebook. The response was so great! So many of our readers requested the recipe and thus, a new video was made capturing the recipe being made in action. Watch the video by clicking here. In the eyes of my child, these muffins are such a hit they deserve a newly invented word categorizing their superior status. Aryana says “They are so good. 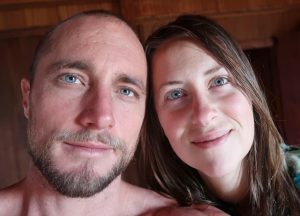 They are owensee“. Aryana: “Well, a sort of food that is good or yummy, that is what owensee means”. These muffins have been hot all over our facebook and youtube. They are a quick nutritious snack anyone will love! There are many happy bellies out there now enjoying the crunchy, warming, quick and easy to make vegetable muffins! Want to see more delicious and nutritious recipes? 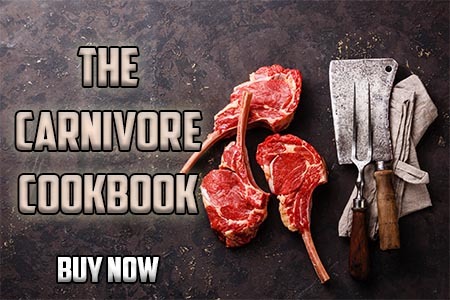 Check out The Ketogenic Edge Cookbook in our shop now! UPDATE May 2017: The original recipe below remains an EXCELLENT recipe, however by adding 1/2 cup of liquid like coconut milk, nut milk, or bone broth the batter blends smoother and the final muffins come out of the oven with a moist inside and toasted outside. 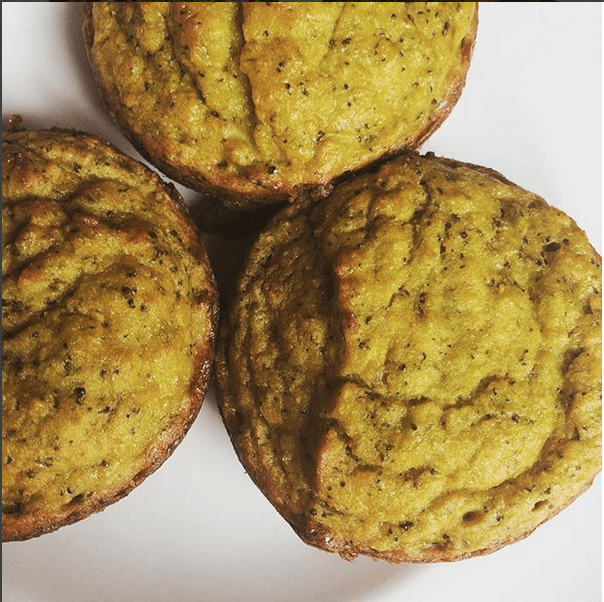 I am a big fan of using broth in recipes and have been adding it in to these broccoli muffins consistently. What about you? Do you like them better with or without the extra liquid? In a small bowl, combine dry ingredients - flour, baking soda and salt. Stir broccoli and coconut oil in to the eggs. 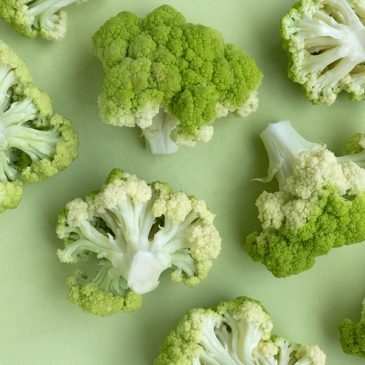 Combine dry ingredients into the broccoli egg mixture. Spoon evenly into a muffin tin. Bake for 15-20 minutes, until tops are golden brown and knife comes out clean. Top with kalamata olives or shredded cheese for extra flavor variations. For more delicious and nutritious recipes check out our COOKBOOK! That looks good. Munchies over here. I would be tempted to put maple syrup on the butter. I made these and ate all of them in 2days! Making another batch, twice as many and adding a bit of grassfed ground beef and bacon! Made another batch and subsituted coconut flour with ground flax, very good too. Thank you Jessica! These are/were great! Can you sub zucchini? Less carbs. I’m sure you could – it may make the muffin more moist, adjust the baking time accordingly. I am so glad I stumbled upon you and your husband today. I am making these now with the substitution of zucchini since broccoli bothers my system. Thank you! OMG I just made these and had one and it was soooo good! This is literally gonna save my diet. Having something that taste like wheat bread really make it easier. Thank you so so much Jessica. This may be a dumb question – are to two cups of broccoli measured before or after running through the food processor? Because mine came out looking like some kind of muffin from “Green Eggs and Ham”. ? Measured after they are food processed. You can also add 1/2 cup of water, nut milk, or coconut milk to make a more moist muffin. Hope you can try again and find a texture you like! Hope you don’t mind me asking a noob question, but wouldn’t there be less carbs in almond flour instead of coconut flour? Is there a reason you like coconut flour? Is it due to MCT? It is a matter of personal preference and availability. Thank you for that recipe, just finished making a first batch and it’s amazingly good!! Would you recommend keeping them outside or in the fridge though? Food is generally best preserved in the fridge. Happy to hear they are a success! Hey! These look great! Do you think I would need to use less coconut oil if I added some cheddar? All depends on what macros you are aiming for. I absolutely LOVE these! I added lots of fresh basil, thyme and some fresh ground cumin, coriander, cardamom and a bit of coconut milk to help the broccoli process. How long would you say they last in the fridge in airtight container? Thanks so much for the recipe.!! That sounds great! Generally, food lasts 3 to 5 days in the fridge, give a smell test to double check. If they still smell good, I’m sure they are. These things are awesome. Note, that I have made a batch with diced cauliflower too. Just as good. Hi guys!!! 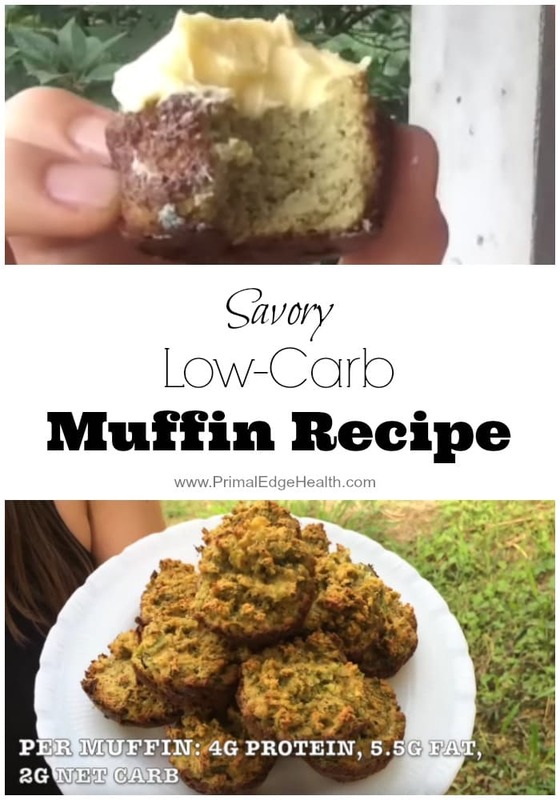 My boyfriend got me into keto and then wanted me to see your website and he happened to show me this one with THESE muffins!! SOOOOO GOOOD! Also.. net carbs versus actual carbs on keto?? Ive read both but would enjoy your opinion. Thank you!!!!!! Hello, this recipe makes 12 muffins. Each with the macros listed above. Net carbs are calculated by subtracting the fiber from the amount of total carbs. I do not know of a app that will do it for you. Our cookbook has complete macros for every single recipe, all the calculating was done by hand! 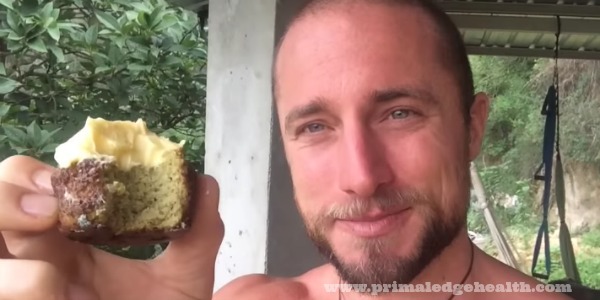 Tristan has a video on the Primal Edge Health youtube channel about carbs, I suggest you check it out for more info. Hi can you freeze these? I never ever have all the ingredients I need on hand for a baking recipe, but this time I did. I just had to try them, and I have to say: Absolutely amazing. I’ve made regular bacon and egg muffins or variations of that, but no longer. These are so SO much better, and will now be a staple in my kitchen. Also, thank you so much for the wealth of knowledge you share with us all. 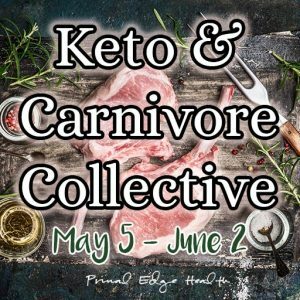 I’m on day 2 of Keto, and it really truely helps to have so much information on hand. So I really wanted to bake something, but I didn’t have any broccoli, so I substituted spinach and they were wonderful! I’ll be taking these with me to work to have with lunch! SO GOOD!! So looking forward to these. 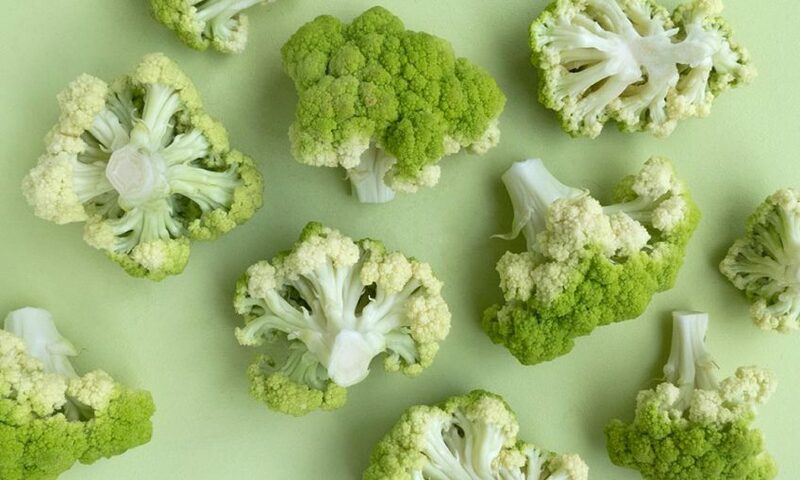 Have you ever found the need to partially dehydrate the broccoli to avoid overly soggy muffins? Sure, I’ll do that ? These sound divine! My husband is on the road a lot with work so they would be great for him to take as a convenient snack! Going to make tomorrow. Yes! They are perfect to take out on the go. 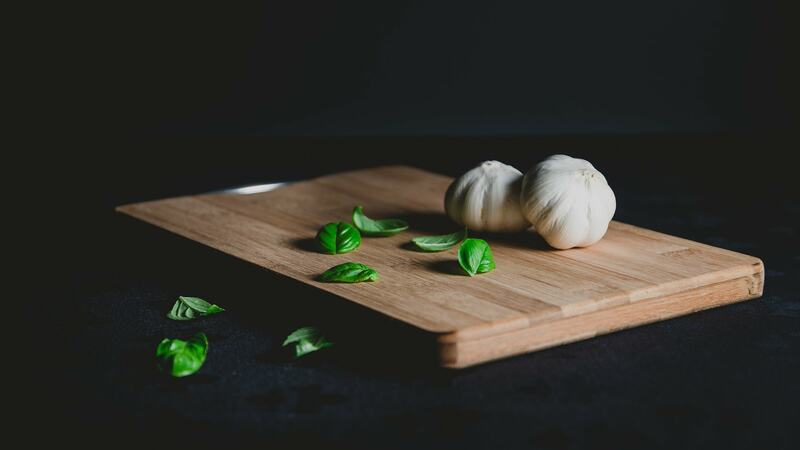 Lots of room to customize the recipe too, mix and match flavors and add his favorite herbs or onions/garlic/jalapeno peppers/cheese… whatever he likes.